BOOK SUMMARY: When Mr. Dashwood dies, and leaves the majority of his estate to his son by his first marriage, it leaves his second wife and their three daughters having to take a step down in society and leaves them almost penniless. A kindly cousin takes them in, but their lack of fortune affects the marriageability of both practical Elinor and romantic Marianne. Elinor and Marianne, two sisters with different perspectives on life and interests, keep one another in line and support one another through death, hardship, friendship, heartbreak, and most of all love. OUR GROUP REVIEW: Jillian did such a great job moderating Sense and Sensibility. She had a wonderful power point that you can download for yourself by clicking here. In our discussion we learned a lot about Jane Austen and the similarities in her own life to her books. 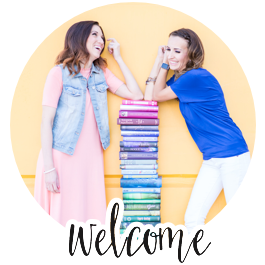 We discussed in detail about the characters, our favorite parts of the book, and just how much the title Sense and Sensibility is tied in throughout the book. What we enjoyed most about the book: We loved the bits of comedy sprinkled throughout the story, as well as how intimate the dialogue is. Although the book was written in 1795 (published in 1811), we all agreed the relationships and romance and girl drama is much the same as today. The sister relationship between Marianne and Elinor was beautifully written and many of our readers related to it. 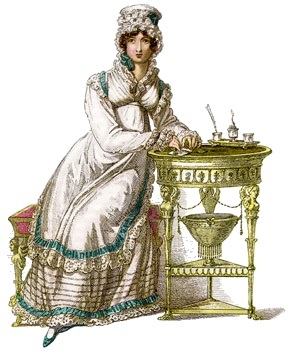 We enjoyed learning about the culture of the Regency Era and agreed that conversations back then were almost an art form...especially between the ladies! They can actually say something nasty with their tone and words, but somehow it can still come out sounding sugary sweet. What we didn't enjoy about the book: Although the writing style is beautiful, the language was much more wordy than how we converse today, so following the story was a little difficult. This was one of the things some of our readers found challenging. Although the ending left us satisfied with most of the characters, it seemed to end abruptly, almost as if it fizzled out. Q: What was the overall theme to this book? Did the title have any connection to the book? A: There are a lot of overall themes we discovered throughout this book including: money, marriage, gender, secrecy, and expectations vs. reality. The biggest overall theme throughout was the contrast between Sense and Sensibility/Reason and Passion. The definition of Sense is a sound mental capacity and understanding typically marked by shrewdness and practicality; also: agreement with or satisfaction of such power “this decision makes sense”. This is the Reason type of personality or decision making. The definition of Sensibility is the ability to appreciate and respond to complex emotional or aesthetic influences; sensitivity. A person's delicate sensitivity that makes them readily offended or shocked. This is the Passion type of personality or decision making. Sense and Sensibility was portrayed much throughout the book, especially between the main characters, sisters, Marianne and Elinor. The title of this book could not more fitting. Q:What did we think of the main characters? Elinor Dashwood, the nineteen-year old eldest daughter of Mr. and Mrs. Henry Dashwood showed the greatest dose of Sense in the book. Elinor is always composed while being quietly affectionate. We all loved Elinors strong and quiet character who seems to take care of everyone around her. 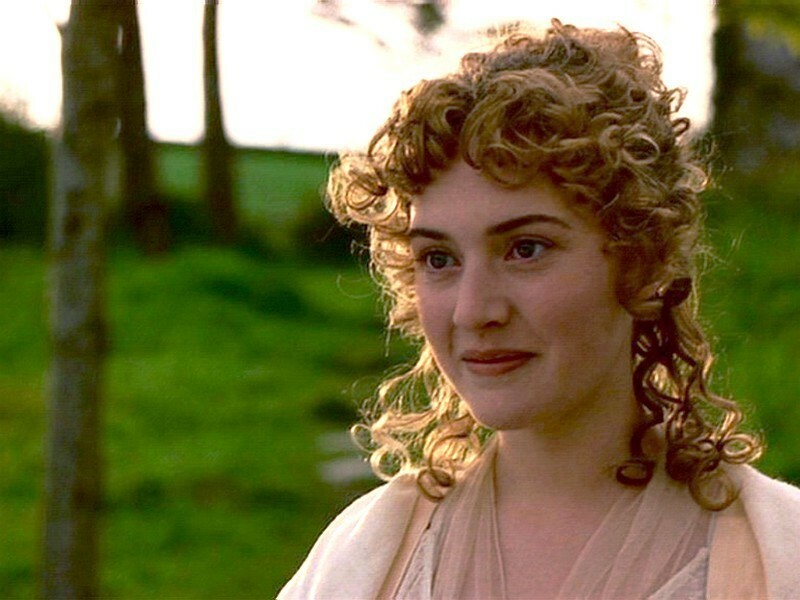 Marianne Dashwood, the seventeen-year-old second daughter of Mr. and Mrs. Henry Dashwood, is more spontaneous, passionate, head strong and excessive in her sensibility. Her passions lead her to fall in love with John Willoughby without thinking twice about his character. (Or lack there of!) For the most part, we enjoyed her character but there were times when she seemed shallow, immature, and a bit irritating. Marianne matures throughout the book and becomes more like her elder sister. 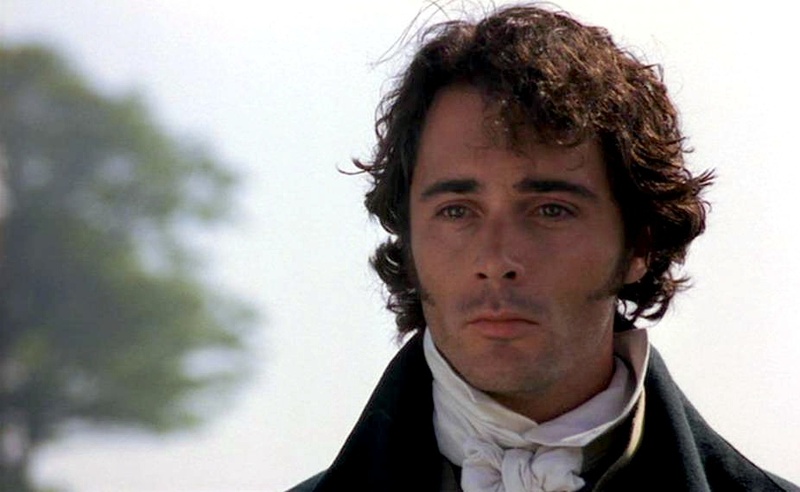 Colonel Brandon, a retired officer and friend of Sir John Middleton who falls in love with Marianne Dashwood and acts kindly, honorably, and graciously towards the Dashwoods throughout the novel. 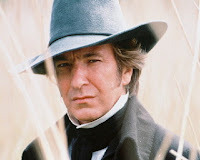 I think it’s safe to say Colonel Brandon was one of if not the favorite character of the book, who we all grew very fond of by the last chapter. 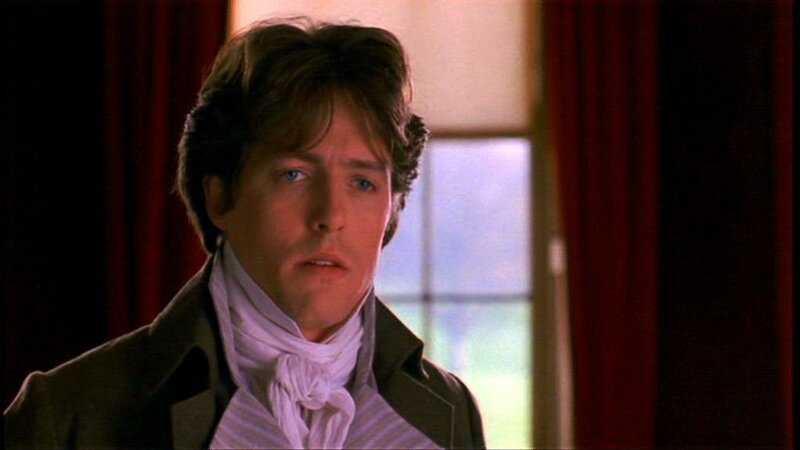 Edward Ferrars is the sensible and friendly older brother of Fanny Dashwood and Robert Ferrars. Edward develops a close relationship with Elinor. Edwards personality is awkward and slightly mousy that at times, and he lacks the ability to communicate easily. We had mixed feelings about Edwards’s character. Some people liked him; some didn’t, towards the end, everyone seemed to like Edward mostly because he made Elinor so happy. Sir John Middleton and Mrs. Jennings won the "Mr. and Mrs. Congeniality" award of all the characters! 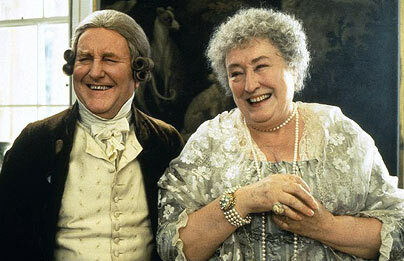 Sir John Middleton and his mother in-law Mrs. Jennings are a happy, jolly, gossiping pair who brought humor and a breath of fresh air to the book. Q:What lessons did this book offer? A: One of the biggest lessons we learn from this book is how important it is to have a balance of Sense and Sensibility in our life. In the choices we make, it’s important to follow your heart and do things you love, but you can't be ruled only by emotion and passion. There needs to be some reason in our actions and choices that's fuelled by passion. Q: Do we think this book makes a good book club book? A: Yes! We always have great discussions at book club, but this book definitely sparked some great topics and conversation. Of course we talked a lot about the importance of balance between reason and passion as well as the characters motives and reasoning behind their actions. The time period was especially fun to talk about, to compare the cultural and social norms from back to now was almost funny! So much has changed and what a different time we live in today! Q: Overall, what did we think of this book? A: All in all, everyone really enjoyed this book! (Especially after pairing our book club with the fun Sense and Sensibility movie night we had a few days before!) Although the language style was different for some, we all agreed that girls haven't changed much over the decades! Sense and Sensibility is a charming, beautiful classic that everyone should read at least once. Jane Austen was born on December 16, 1775, and was one of 7 children. Jane was educated at English Boarding School. In December 1795 she began a romance with Tom Lefroy (studying to be a barrister /lawyer) eventually his family objected to their union because she had no money to offer and he was being supported by relatives so they intervened and kept them apart. In 1796 Jane’s family recalls her telling a charming story called “Elinor and Marrianne.” She completed all revisions to this story in 1798. Jane’s brother Henry acted as her literary agent, he took her work “Sense and Sensibility” to London publisher Thomas Egerton who published it in October of 1811 selling out completely by 1813. In many ways Jane Austen embodied the strong natured women that were her stories. They came from different circumstances with different backgrounds, yet all sought the same thing in true love. It is an irony that such a thing eluded the great Ms. Austen but perhaps to the betterment of her stories and ours. SEXUALITY: EXTREMELY MILD- One character's past misconduct is brought up several times, dealing with an immoral affair. LANGUAGE/PROFANITY: EXTREMELY MILD- A few characters use phrases such as "Good God!" or "Lord!" in their dialog when excited. DRUG/ALCOHOL USE: EXTREMELY MILD- Wine is usually consumed at most meals. 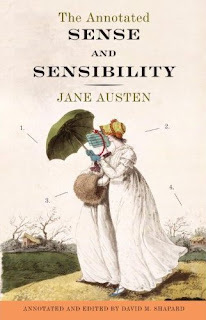 See our Sense & Sensibility picture recap, menu and lots of other book club ideas HERE! Great recap of the book! Sense and Sensibility is one of my favorite movies.